A 7-night independent tour of Ireland, experiencing the best food and drink of this special place. 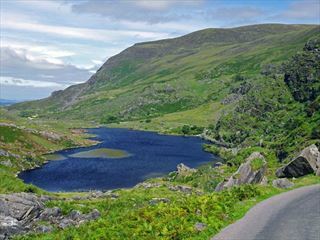 You can tour at your own pace with a rental car, and will have two nights each in Dublin and Wicklow and three nights in Cork. 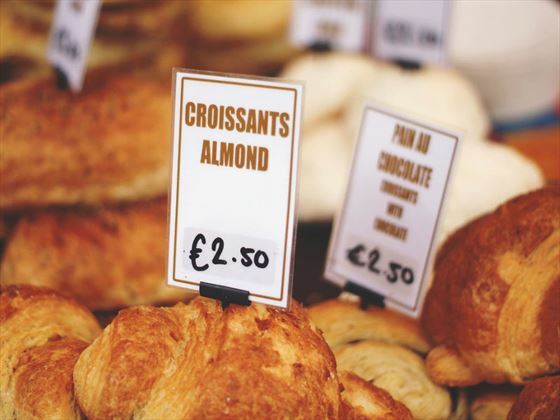 The itinerary for this tour takes you from the vibrant city of Dublin with its historical sites, lively shopping streets and vast choice of pubs and restaurants. You will then journey through the picturesque Irish countryside via the ancient Rock of Cashel, through the Golden Vale region of Ireland famous for its cheeses and dairy products. Your destination is County Cork, where you will find quaint fishing towns including the “Gourmet Capital of Ireland” – Kinsale. Here you will have the opportunity to sample fresh regional produce in one of the many excellent restaurants. 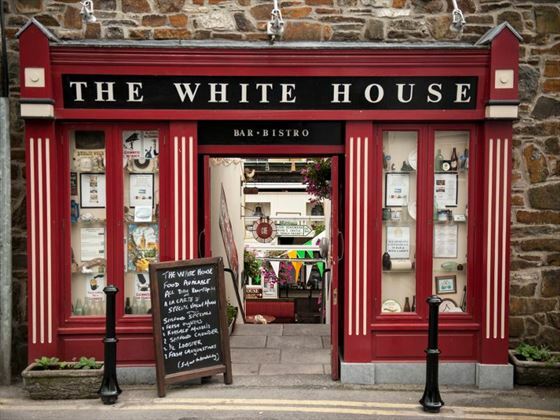 Exploring this area you will find the Kinsale Wine Museum, the Cork Butter Museum, several distilleries for you to discover and sample Irish Whiskey and the fascinating port of Cobh with its rich history. Arrival at Dublin airport where you will pick up your hire car, then drive into Dublin to the Sandymount Hotel which will be your base for the next two nights. Highlights of this fascinating city include Christchurch Cathedral and Trinity College where you can view the Book of Kells. 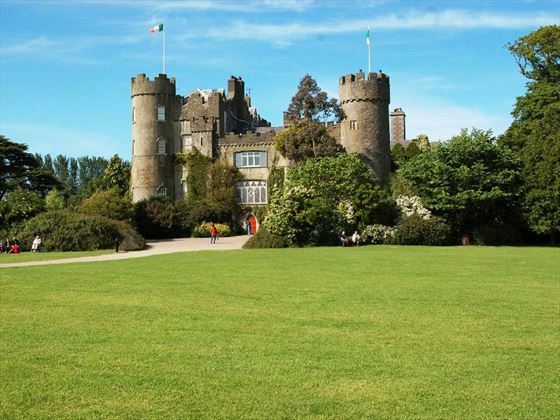 Today you will drive north of the city to enjoy the magnificent views over Dublin Bay to the 14th century castle at Malahide. Take the opportunity to stroll around the magnificent gardens at the castle or explore the pretty award-winning village. On leaving Malahide, follow the flow of the River Boyne, its banks dotted with landmarks from throughout the long history of Ireland. See the pre-historic passage tombs at Newgrange, the legendary Hill of Tara and monuments from the early days of Christianity. Return to Dublin for the evening, and perhaps indulge in one of the city’s many excellent restaurants. Today leave Dublin, and drive southbound towards the coast. 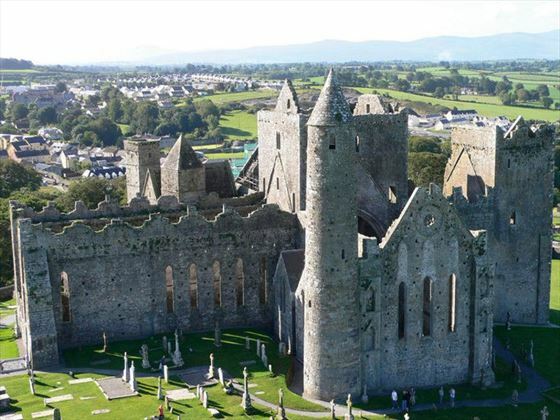 En route you can visit the awe-inspiring Rock of Cashel – a fantastically varied historical site. The rock is topped by a mix of ecclesiastical and royal buildings, including a 13th century Romanesque chapel and the beautifully restored Hall of the Vicar Choral. Then continue south through the “Golden Vale” region of Ireland famous for its butter and cheese. Next you will reach the “Gourmet Capital of Ireland” – the picturesque coastal town of Kinsale where you will spend the next two nights. This evening you can try out some of the wonderful regional produce in one of the many excellent restaurants this town has to offer. 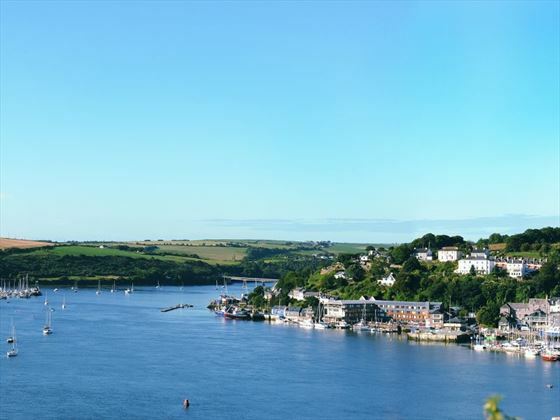 This morning you can explore the lovely town of Kinsale, choose from browsing the local shops, touring the Wine Museum, viewing the 17th century Charles Fort or visiting historic Desmond Castle. Built by the Earl of Desmond as a custom house in the 16th century, Desmond Castle has a colorful history. In the afternoon you can visit nearby Cork – the second city of Ireland with its an ancient medieval center. Here you can visit St Ann’s Shandon built in 1722 and you may be given the chance to ring the famous Shandons Bells. Cork dominated the butter trade in the 18th and 19th century, and you can learn all about this in the Cork Butter Museum. 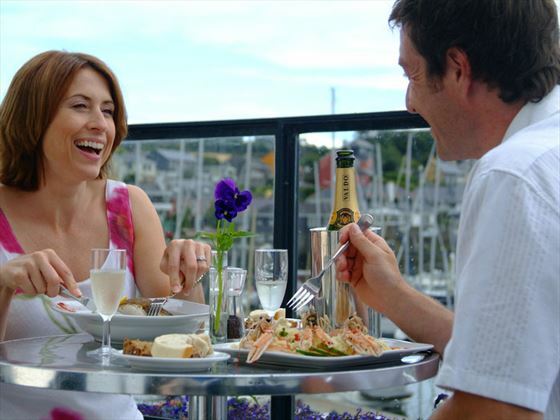 Return to Kinsale for another relaxing evening, perhaps enjoying a meal in one of the restaurants show-casing “farm-to-table” cuisine. Today you have the opportunity of visiting the historic port of Cobh (pronounced Cove). This is the port from where 2.5 million Irish emigrated in the 18th and 19th century, and was the final port of call for the ill-fated Titanic. 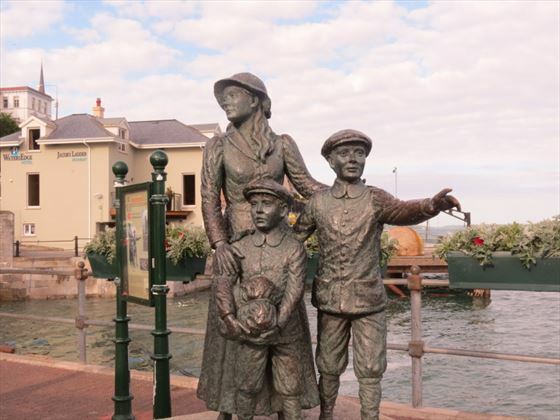 Here you can visit the Queenstown Story at the Cobh Heritage Centre, a dramatic exhibition recalling the history of the town. Take the short drive to the renowned Ballymaloe Cookery School, where you can choose to visit the Organic Farm or explore the splendid gardens, including a Herb Garden, Soft Fruit Garden and Kitchen Potager. Returning to Kinsale for the evening, you could visit the Old Midleton Distillery where you can discover the story of Irish Whiskey, follow the old distillery trail through mills, maltings, still houses and kilns, and sample this world famous whiskey. Depart Kinsale and travel east along the southern coastline, until you arrive in Waterford. 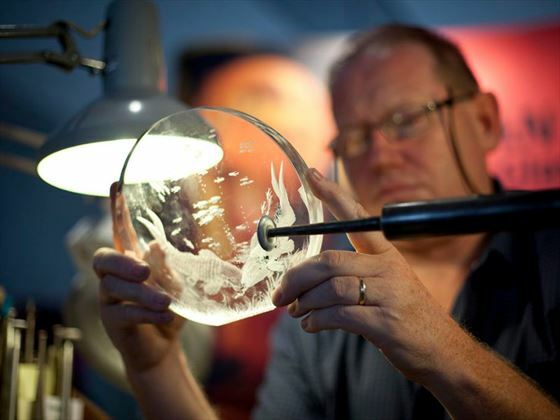 Here you can take an enthralling tour of the House of Waterford Crystal and browse the largest collection of Waterford Crystal in the world. Continue along the coast through Enniscorthy with its castle, cathedral and National 1798 Rebellion Centre, and Gorey where you can visit Wells House and Gardens – a grand Victorian stately home where you can experience a Living Victorian House Tour. Then continue to Ballyknocken Country House & Cookery School, a charming Victorian farmhouse, where you will overnight. Today you have the option to participate in a class at the cookery school (at additional cost, subject to availability). Alternatively you can tour the scenic Wicklow region, known as the “Garden of Ireland”. Travel through the Vale of Glendalough and visit the enchanting 6th century monastic settlement set in the “valley of the two lakes”. Perhaps visit Powerscourt House, to stroll the gardens which have been voted number three in the worlds best gardens by National Geographic. With offices in Florida, Dublin, Kerry and London we have the experience and resources to provide you with the very best vacation, partnering only with the most reputable operators to ensure you have a truly great touring experience. 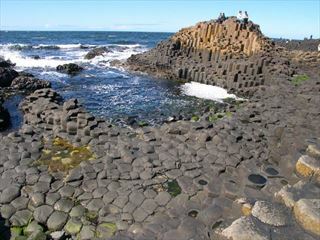 A superb 10-day escorted tour of the Emerald Isle, taking in all the top sights of this unique country. Explore vibrant Dublin, Kilkenny & Limerick, stay in a castle, marvel at the Ring of Kerry and tour the House of Waterford Crystal. 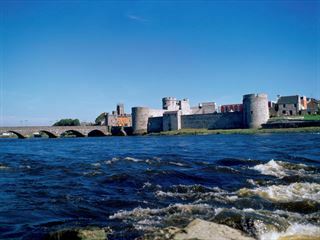 Experience the real Ireland on this independent tour staying in characterful accommodation from traditional B&B’s in Killarney and Limerick to an ancient castle in Galway. 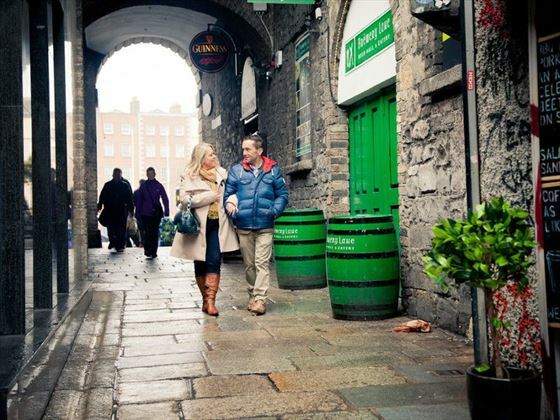 You begin and end the holiday in Dublin, and can explore this beautiful island at your own pace.